The Membership Level feature allows you to create groups of customers. You may use the groups to offer discounts/promotions as well as for reporting purposes. Go to the Bindo Dashboard and click on "Membership Level" on the left side menu. Click on the "New Membership Level" button at the bottom right corner. Enter a title for the Membership Level in the "Title" field. Add any relevant notes in the "Note" section. Click "Save" at the bottom right corner. After saving a new Membership Level it is added to the overview page where you can view and manage existing Membership Levels. To edit an existing Membership Level click on the arrow to the right of the Membership Level which you'd like to edit. Click "View" and update either the Title or Notes. You may also view customers that are associated with a specific Membership Level by clicking on the "Customers" tab on the Membership Level detail page. 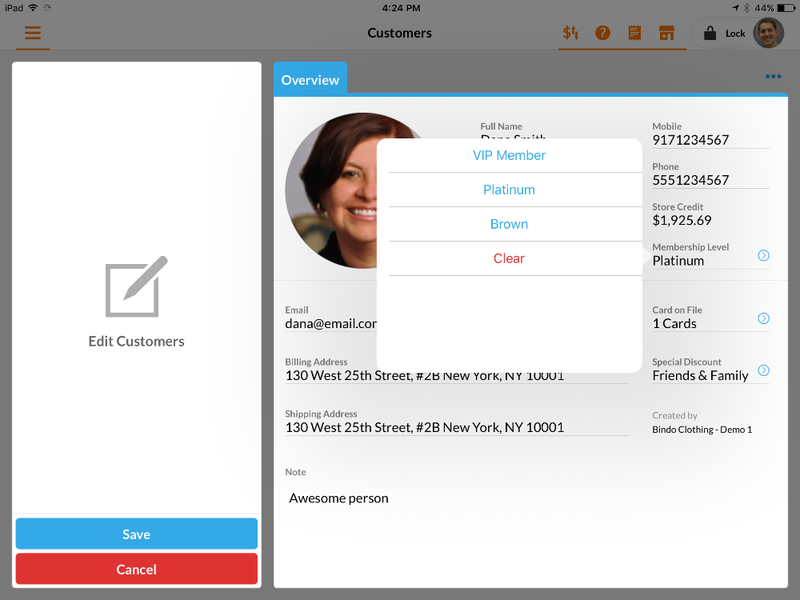 You can add / remove customers from a Membership Level from the customer profile in the Bindo App or on the Bindo Dashboard. To do this simply select an option from the Membership Level dropdown on a Customer's profile. Each customer may have a single Membership Level (but Membership Level is not required). Note that the Membership Level field is distinct from the "Special Discount" field, though both fields can be used to associate discounts with customers. To create a discount or promotion that applies for a group of Members create an "Advanced Discount". Membership Level is one criteria by which Advance Discounts can be configured. Read more about Advanced Discount set up. You may retrieve Membership information in the Customer Report which includes a column for "Membership Level".